← Don’t Talk Racist With Me Because I’m White. Please. 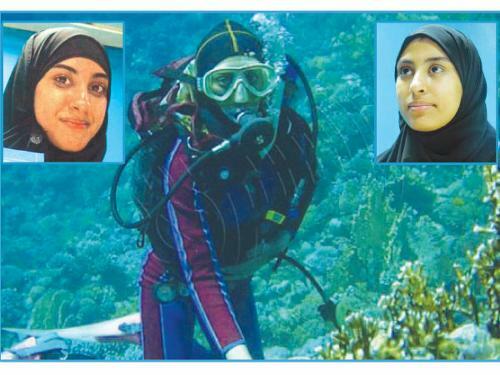 Two sisters from Sanabis town on Tarout Island on the Eastern coast of Saudi Arabia made headlines this week as some of the few professional women divers in the country. The local newspaper Saudi Gazette reports that Noor and Taammul Al-Dubais were raised in a seafaring family and that they have been surrounded by water all their lives. Noor was 5 when her father taught her how to breath under water and the sisters held their international diving licenses as 10 year olds. Now they wish to pass on their passion for diving to other girls. They are diving as a professional duo and have been diving on many different occasions. Hopefully Noor and Taammul will set an example for many other brave young women around the world.